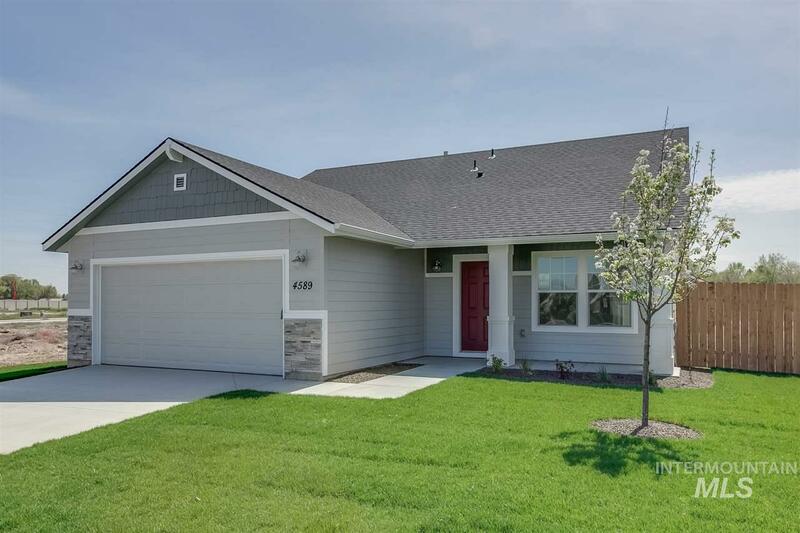 All River Meadow homes currently listed for sale in Nampa as of 04/21/2019 are shown below. You can change the search criteria at any time by pressing the 'Change Search' button below. "The Tatom 2054 is a great sized home for those seeking a little room to move. This home features a large kitchen featuring white cabinets with a large island, pantry and half bath! The kitchen opens into the dining room and family room. Formal living room makes great office or play room. Upstairs, you'll find a utility room, master suite with a large walk-in closet, bathroom and the kid's rooms! Third bay garage! Garage door opener not included. RCE-923"
"The Tatom 2054 is a great sized home for those seeking a little room to move. This home features a large kitchen with large island, pantry and half bath! The kitchen opens into the dining room and family room. Formal living room makes great office or play room. Upstairs, you'll find a utility room, master suite with a large walk-in closet, bathroom and the kid's rooms! Garage door opener not included. RCE-923." "The Langton 1502 is the right-sized single level with charm! Private entry way leads into the vaulted living room and kitchen, a perfect entertaining space. Three bedrooms with NO shared walls give everyone privacy. Master bedroom features large walk-in closet and bathroom perfect for the end of the day wind-down. Kitchen features grey soft-close cabinets and raised breaskfast bar. Large corner lot! Garage door opener not included. RCE-923." "The Ruby 1413 is a perfect sized single level home! Walk into a vaulted living room with large windows that opens to the kitchen. Raised breakfast bar and large corner pantry for all your kitchen needs. Master bedroom and two other bedrooms fulfill the other side of the home. Master bathroom features walk-in shower and large closet. Covered front porch perfect for relaxing at the end of the day! Garage door opener not included. RCE- 923"